Do you need depression counselling? True that depression should never be underestimated. But before you seek online counselling, have you ever wondered what is depression though? Every day we hear something or the other related to depression that it is quite confusing as to what will be termed as depression. It is natural to feel sad, lonely or depressed at certain points in our lives. But when it starts hindering your personal growth, that is depression. You feel lonely, empty or sad. You feel difficulty falling asleep or waking up in the morning. If the answer is ‘yes’ to any of the above situations or questions, there is a need for some talk. Seek depression counselling. 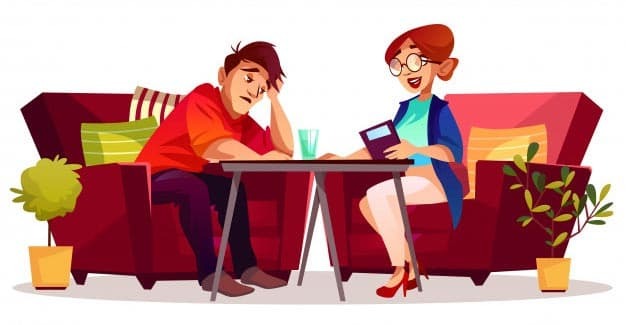 Depression counselling will help you talk to someone who is not there to pass judgements but actually help you find a solution With effective therapies like anger management, stress management, online counselling, talk therapy, an online counsellor will listen to you with empathy and expertise and help you deal with your negative thoughts effectively. In short, guiding you towards your personal growth by overcoming negative feelings. Depression can really take a toll on your health and mental well being. It could go on for weeks or maybe months. Before it gets too late, you should seek the help of an expert therapist, preferably online psychologist so that you can talk to them from the comforts of your home. At Online Counselling 4 U, we keep your identity and information 100 per cent anonymous. Remember, we are always there to help you. Talk to our expert online counsellors and get help today.